Edie Falco on her new movie "Outside In"
Edie Falco was over a decade into her acting career before she got her breakout role as Carmela Soprano in the classic HBO mob drama "The Sopranos." She then went on to play the title role in the Showtime dark comedy "Nurse Jackie" for which she won an Emmy in 2010 for outstanding lead actress in a comedy series. Edie's newest film is called "Outside In." She plays Carol, a married high school English teacher who became pen pals with a former student named Chris while he was in jail serving a 20- year sentence. After Chris gets out of prison, things get complicated between them. Edie talks to Jesse about landing her first acting gig, which she started the day after she graduated from SUNY Purchase's acting school, why she thinks comedy isn't for her, and James Gandolfini, the late actor who she worked with for nearly a decade on "The Sopranos." 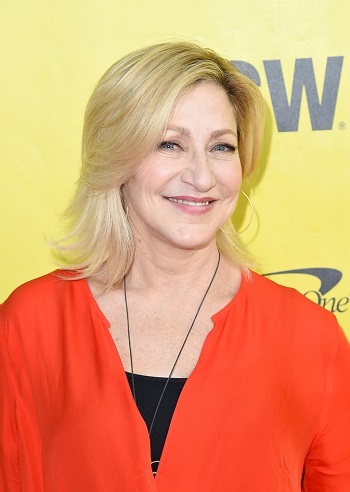 Click here to listen to Edie Falco's interview on YouTube. Baseball player Hunter Pence was drafted in 2004 by the Houston Astros. He debuted in the majors in 2007 and by 2009 was named an All-Star. Now he plays right field for the San Francisco Giants and was instrumental in bringing the team to victory in two world series. Hunter has also been subject to some of the weirdest heckles in baseball - handheld signs that say stuff like "Hunter Pence Can't Parallel Park," "Hunter Pence eats Pizza with a Fork," and "Hunter Pence Thinks Game of Thrones is Just Ok." He talks with Jesse about what he thinks about these strange and inaccurate callouts, why he wears such high socks, and his Houston coffee shop and gaming cafe called Coral Sword. 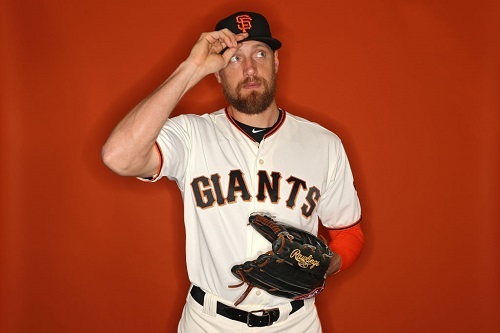 Click here to listen to Hunter Pence's interview on YouTube. The Outshot: Netflix's "Toast of London"
In the British TV comedy "Toast of London," Matt Berry plays honey-voiced British actor Steven Toast. Toast lives in modern London but acts more like a British stage actor from 1976. After a terrible career decision, he's forced to take on horrible job after horrible job while trying to navigate life as a newly divorced man. Click here to listen to Jesse's Outshot on "Toast of London" on YouTube.